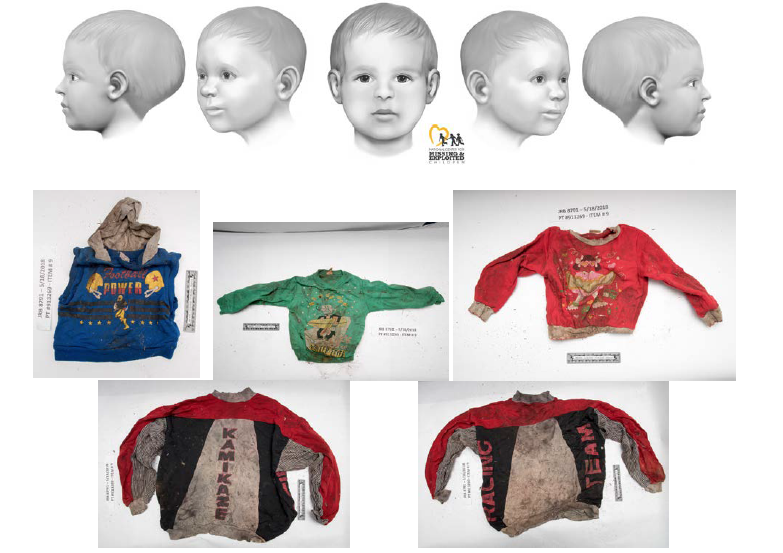 This case is still active and Elijah Bear's family remains active in seeking information as to his disappearance. If you know ANYTHING, please contact us. 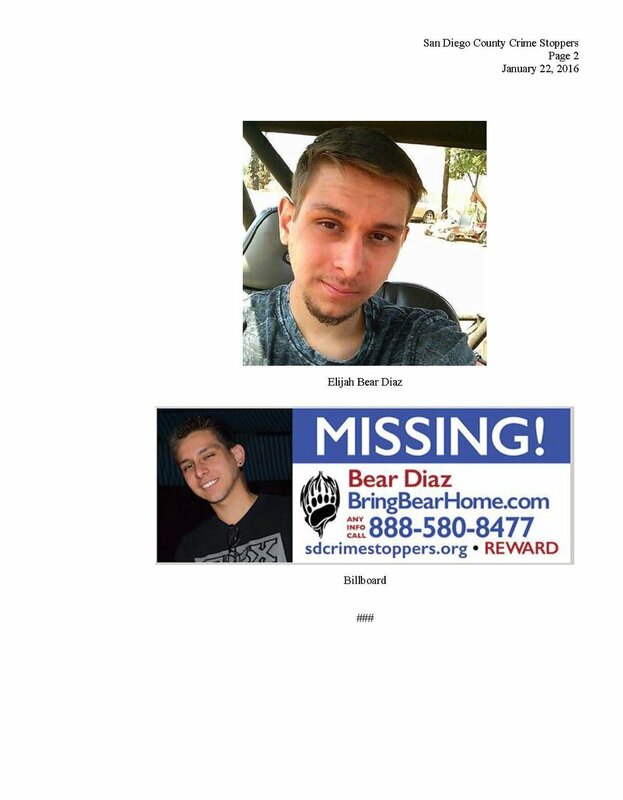 San Diego County Crime Stoppers and the San Diego Police Department Missing Persons Unit continue to look for leads to help locate missing person Jose Alberto Ortigoza. The family and friends of Mr. Ortigoza have increased the reward to $5,000 for any information that may lead to his whereabouts. Mr. Ortigoza was last seen on January 24, 2014 at approximately 2:56 p.m. after entering the United States at the Otay Mesa Port of Entry to conduct business on behalf of his employer, Especies y Granos de Baja California. It is believed Mr. Ortigoza may have been in a 2008 or later model GMC Acadia Crossover type vehicle. Mr. Ortigoza has not been in contact with his family or his employer. Mrs. Ortigoza along with Lt. Kevin Mayer will be available today (Feb 11) at 1:00 p.m. for media interviews in front of the SDPD Police Headquarters (1401 Broadway). For information leading to an arrest, you could receive up to a $10,000 reward and remain anonymous. The qualification of any person(s) for the reward and the amount of the reward for any person(s) so qualifying will be determined by San Diego County Crime Stoppers, Inc, in its sole discretion. The amount of all rewards given shall not exceed $10,000. Information must be received on the tip line and lead to a felony arrest, (888) 580-8477.